Home » OD » Dr. Robert Chu, O.D. Dr. Robert Chu, O.D. as a result of his leadership abilities and his commitment to extraordinary eye care, was elected by his peers to serve as the youngest President of the Tarrant County Optometric Society and the Board of Directors of the Texas Optometric Association. Dr. Chu is the recipient of numerous professional awards, including the Alcon Pharmaceuticals Clinical Excellence Award and the prestigious American Optometric Association Award for Outstanding Leadership. 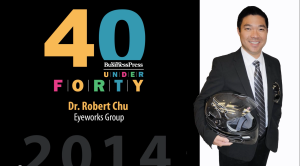 Dr. Chu is featured in the Guide to America’s Top Optometrists compiled by Consumer’s Research Council of America. 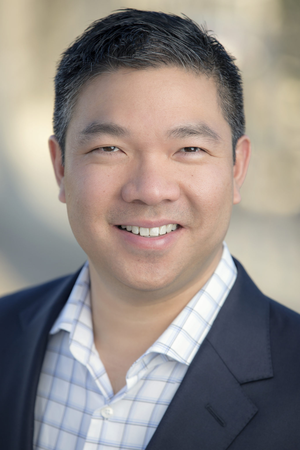 Dr. Chu, a native Texan, graduated from Fort Worth Country Day School in 1993 and from Vanderbilt University with a Bachelors in Science degree in Neuroscience in 1997. Dr. Chu is the second generation in his family to receive a doctoral degree from the University of Houston College of Optometry. He completed an internship at the eye hospitals at Lackland AFB and Randolph AFB in San Antonio, Texas. 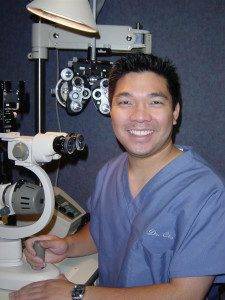 Dr. Chu is certified by the Texas State Board of Optometry as an Optometric Glaucoma Specialist. 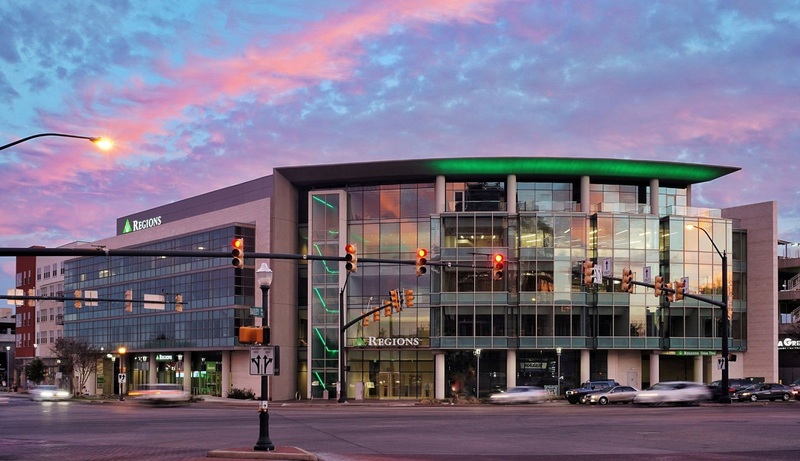 Returning to Fort Worth in 2002, he began private practice with his mother, a noted Fort Worth optometrist. 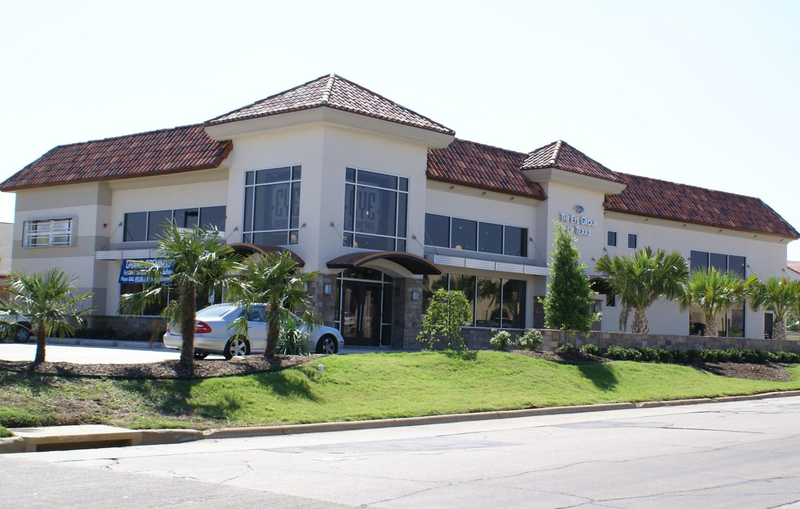 In the early 2000’s he invigorated Chu Eye Associates in Fort Worth, Texas and expanded the practice by establishing an additional practice location in Southlake, Texas. Chu Eye Associates is honored in Fort Worth Magazine’s “TOP DOCS” issues in 2003, 2004, 2005, 2006, 2007, 2008 for six consecutive years. Prior to practice, following in his mother’s footsteps, Dr. Chu studied the eye and became involved in research. Dr. Chu began researching the eyes and visual system over ten years ago at the Vanderbilt University Vision Research Center where he studied neural plasticity and retinal regeneration in goldfish. Dr. Chu is published and a recipient of the National Eye Institute (NEI) Training Grant to study morphology of cells in regenerating salamander retina. Currently, Dr. Chu remains active in academia by teaching 3rd year family practice medical residents from John Peter Smith Hospital in Fort Worth, TX on primary eye care. In fact, Chu Eye Associates is part of the JPS Ears, nose, & Throat Rotation. Today, Dr. Chu remains involved in clinical research and continues to innovate in the field of eyecare. Dr. Chu is Principal Investigator for many FDA clinical trials involving revolutionary pharmaceuticals and contact lens biomaterials. Dr. Chu was recently featured in Optometric Management, a widely respected journal among Optometrists. I trust everyone in this practice, but I usually request Dr. Robert Chu because of his specialties. He listens and he explains everything so perfectly so there is never a doubt as to what I need to do for my eye health. The staff is exceptional. You need only to glance at the numerous certifications, diplomas and awards (many of which are mounted on their wall) to know you are in the best care possible. I have recommended so many to Dr. Chu and Associates and everyone has had the same wonderful opinion and positive experiences as myself. We are blessed to have them in our community. The staff at Dr. Chu’s is always sweet and so helpful when I have an emergency. They always get me in immediately and seem to really care about my problem. I have ongoing problems and they are prompt and happy to help. Dr. Robert Chu saw me yesterday but I have seen all of the Dr’s at one time or another and they are all professional and caring. Dr. Robert Chu is outstanding, professional and takes the time to answer questions and relay your test and x-rays to you. He is phenomenal. I absolutely LOVE the women who work at the front desk! Both Johannah and “G” have gone above and beyond to help me and my kids over the years. They both are very friendly–and we don’t feel like just regular customers–we feel like we are family. Dr. Robert Chu is awesome. He ALWAYS takes the time to explain what is going on with our eyes. 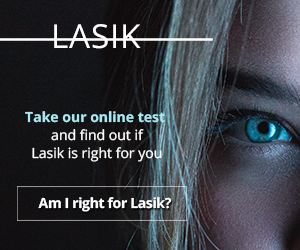 His office takes pictures each year at our annual checkups and he will always explain the photos and point out what makes our eyes healthy–and what are things we need to be aware of. Our entire family goes to them for our checkups–and we’ve been there for about 11 years now. 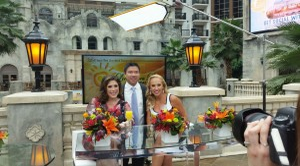 Dr. Robert Chu and his entire team are top notch. I’m impressed not only with the state-of-the-art equipment, but the knowledge of the team and their willingness to describe what they are doing and why they are doing it. They have an excellent selection of frames from which to choose at prices that are competitive with anyone around. I didn’t have to walk in being an expert on my eye insurance benefits because they are and explained everything to me very thoroughly. 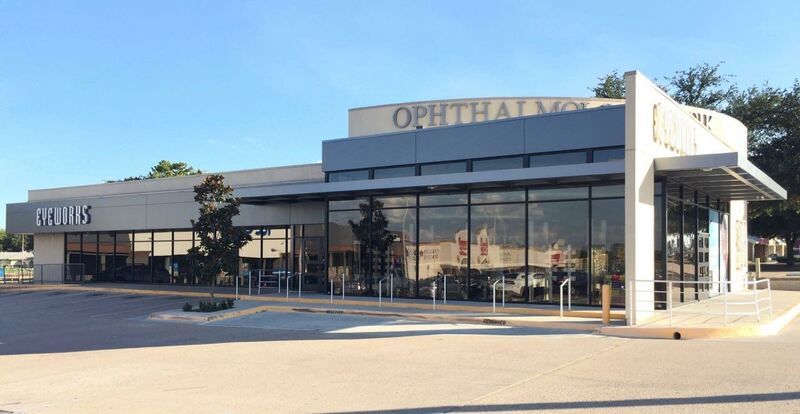 I highly recommend EYEWORKS – Southlake, you will be glad what you did.